What a wonderful summer it was! 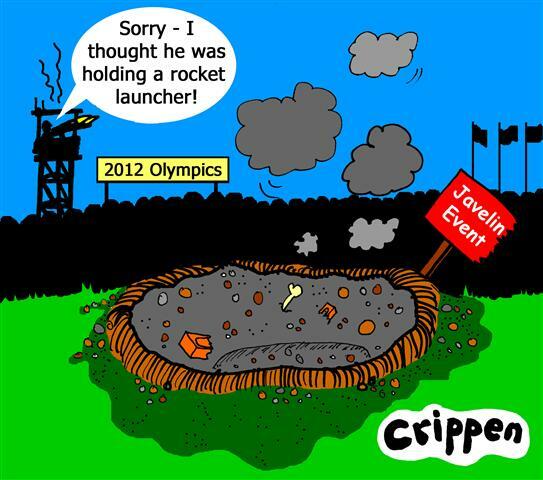 The Paralympics! Unlimited! Wasn’t it fantastic? For the first time in sporting history the Paralympics got its own Open and Closing Ceremonies, putting the Games on the same level playing field as the Olympics. The Paralympics Opening Ceremony had everything – a fly past, Stephen Hawking, the Big Bang, umbrellas, a giant blinking eye, Newton’s apple, Miranda from The Tempest, over 140 deaf and disabled artistes and volunteers. It was fab. And then the sport started. Jonnie Peacock, David Weir, Ellie Simmonds – and sold out arenas everywhere. Team GB did the country proud – 31 Golds, 39 Silver, 38 Bronze, second only to China. Sue Austin, Rachel Gadsen, Jez Colborne – great art everywhere. For 11 days at the Southbank Centre from the end of August to 9 September a festival that brought work by disabled artists up and down the country to London and kept the joyous of mood of celebration on the rise. It would be easy to be cynical about all of this. 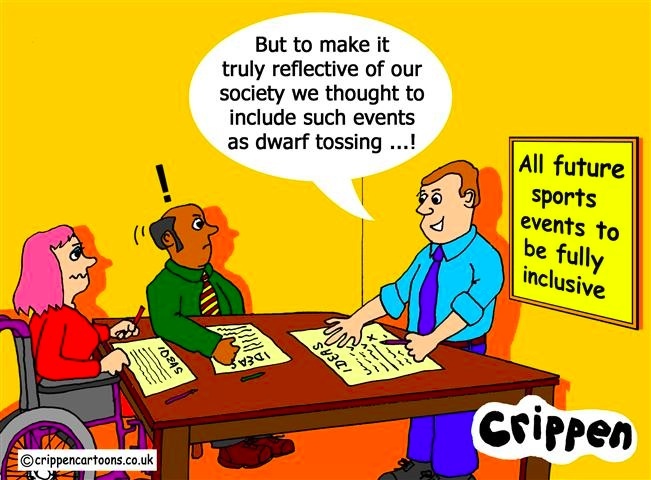 But let’s just go with it… For a moment it was if the country had a vision of a nation that was truly inclusive, where a Paralympian ran in the Olympics, where art by disabled people was seen in huge numbers, where it really did seem as if were all in this together. Crip was Cool! Chic! Mainstream! And there is always a ‘but’ when it comes to how disabled people are seen in this country. Atos sponsored the Paralympics. The same Atos that carry out the Work Capability Assessments that so many disabled people are in fear of. Right on cue, Wayne Fisher, the athlete who played for the Team GB wheelchair basketball team, has had his DLA cut. Channel 4 are still showing programmes that show a basic lack of respect to disabled people – like the Last Leg, when they asked is it OK to hit a disabled person. And this in their Paralympics ‘after show’ slot. How long before we’re back to other dubious programmes like The Undateables? Unlimited has ended – but how many arts programmes feature disabled artists? How many big exhibitions of work by disabled artists are getting hung? How many disabled performers are being cast in West End shows? Like I say, it would be easy to be cynical, to say that the whole summer was just one big con, bread and circuses, with the disabled back to being targets and scapegoats for a shaky Coalition and their tabloid goons. But I’d like to think that some of the advances made by disabled athletes, artists, and activists will make a difference. That those who cheered on the Paralympians and checked out Unlimited will continue to see disabled people as different, just like they are. It’s time Crips demanded not just choices and rights, but their due. He looked over the podium at the eager faces in front of him. He knew just how brave they all were, what they had all come through together, just how much a challenge this new mission would be. They were tired, exhausted some of them, on their last legs. But theirs was not to reason why. They had a job to do and by God they were going to do it. 'Now you'll all know,' he continued, 'just how erratic local forces can be. This latest incident shows what untrustworthy, unreliable, but worse how downright unprofessional blighters they've been. He looked down at his briefing notes. What a God-awful situation they were in! 'Now the terrain of this mission is extremely tricky. I don't need to remind you of what we're up against - you all saw for yourselves the terrible scenes around here when civilian forces were heavily outnumbered. 'We can expect more of the same, so have your men on high alert. You'll be aware that we have missiles situated in strategic locations, a 30 mile no fly zone, and will be delpoying heavily. 'But we face, as I say, a very tricky challenge. We will all need to come through this with heads held high. 'Finally - we've all come through a lot together. Baghdad, Helmand, not too mention the Yanks. It’s now over ten years since the death of Brian Behan. Brendan Behan, the playwright, and Dominic Behan, the singer-songwriter, were his brothers. His mother, Kathleen, was the subject of his book, Mother Of All The Behans, which was turned into a stage show and ran on Broadway. I first met Brian when I asked him to be in the Brighton Fleadh, an Irish Festival I organised in 1995. His play, Hallelujah I’m A Bum, caused a bit of a stir that summer. Brian wasn’t in receipt of a grant and he was never prosecuted. But the journalist had his story, two columns in the Independent, and Brian was the hero of the Festival. We went on to devise Brian Behan, Live And Uncensored, and I was in his next play, The Begrudgers. The theatre was in Brian’s blood, for his uncle, P.J. 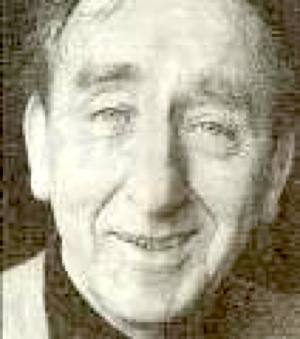 Rourke, managed the Queen’s Theatre in Dublin, and the Dubliner’s love of a good show was evident in all he did The Begrudgers was ostensibly about the Kavanagh libel case, but also had skits about Bishop Casey, growing up in the Georgian slums of Dublin, the Christian Brothers - 'they were neither Christian nor Brotherly' – and a few songs as well. Brian had a trestle table at the back of the stage with a selection of hats scattered on it. If he needed to change characters he'd turn round and stick on a hat, just like that. It was like watching an Irish Tommy Cooper. If he dried he’s look out at the audience and say, 'What's the next f*cking line?' Pure music hall. We played quite a few venues, including the Pavilion, Brighton; the Hammersmith and Fulham Irish Centre; and the Battersea Arts Centre. One night in Battersea I had to make a quick change in the wings. I needed to get into clerical gear fast – I had a home-made dog collar, black shirt, and a set of goofy teeth I got from a joke shop for the full Alistair Sim effect. I nearly missed my cue but I stumbled on stage with everything half on and half off. A pal of ours starting honking in the front row and he set me off. I tried to stifle my mirth but I couldn’t hold it in. I gave a big laugh and watched in horror as the joke shop teeth shot across the stage. I dived after them and popped them back in, mugging away for all I was worth. It brought the house down. Brian was always up to mischief. Brighton was advertising itself as ‘The Place To Be’. Brian launched his own campaign, highlighting the lack of public toilets in the town, ‘The Place To Pee’. Then he hit on ‘SID’, Shut It Down, a campaign to replace the Houses of Parliament with a ‘reasonably honest computer, the Swiss system, referenda for everything’. He also launched the Grey Party to mobilise Pensioner Power, and would have a made a great MP. That’s if he didn’t manage to close down the House of Commons first. It’s been said of Brian that his politics owed as much to Groucho as they did to Karl Marx. He would be in his element sending up Nick Clegg, Liam Fox, and Oliver Letwin. Brian was great gas. 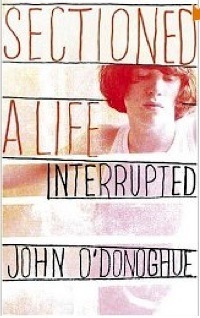 It was a great honour to see my memoir Sectioned: A Life Interrupted awarded Mind Book of the Year last year. To be in the same company as writers like Hilary Mantel, Studs Terkel, Jenny Diski – well, writers live on dreams and here was my dream come true. I’d been writing seriously since I was 14. This was when my father died and I composed poems that tried to remember him, to mourn him, to come to terms with what I’d lost. Soon after my father’s death my mother became unwell, and I was fostered. Then I was sectioned aged 16, and my mother died three years later. I became a revolving door client, in and out of hospital, writing all the while, and was also in a therapeutic community, a large homeless hostel for men, on the streets, in squats, and in Pentonville when I was unwell. As much as the NHS, the Welfare State, and charities like Mind caught me when I fell, I believe writing also played its part. For before I was sectioned to the old Victorian asylums – I was in Claybury, Friern, and Banstead – I had already entered another kind of asylum, the Asylum of Poetry. I think I came to that realm all writers try to find, a place of refuge, of calm, of peace, and I took time to explore its airy green grounds. For me writing and this inward sense of asylum have always gone together. I don’t just mean the institutions I was placed in - I mean the place where the mind can find enough imaginative space to make sense of our experience. I was lucky to come through. Eventually I was able to get off the psychiatric-merry-go-round and go to university. I had three O Levels and an Elementary Swimming Certificate but the University of East Anglia let me in. I still have my problems – in 2009, the year my memoir, Sectioned, was published I became very depressed and was admitted to Mill View Hospital in Hove. Then I couldn’t write at all, for months on end. Fortunately my depression lifted and I began to recover. And to write again. So I’m grateful to all who helped me. And to the poets I read, and to the likes of Hilary Mantel, Studs Terkel, Jenny Diski. Without them I wouldn’t be here. You wouldn’t think Chichester was the kind of place Outsider Artists would feel much at home in. It’s a prosperous cathedral city in the southeast of England, the Downs close by, with a genteel air and a rather old-fashioned atmosphere. Tea rooms, bookshops, and a medieval gate all make this kind of place you half expect to see John Betjeman rooting around in, or perhaps some of those artists who were his friends and contemporaries, people like John Piper, or Ben Nicholson, or Osbert Lancaster. But Pallant House Gallery has been a champion of Outsider Art for most of this century. Working in conjunction with Outside In, the Chichester gallery has been mounting exhibitions of Outsider Art here since 2003, and last week hosted the launch of Outside In’s new call for submissions. Outside In aims to provide a platform for artists who find it difficult to break into the art world either because of mental health issues, disability, health, social circumstance, or because work doesn’t conform to mainstream definitions of ‘art’. Last Thursday 21st July Marc Steene, Acting Director of the gallery, announced to a packed audience an exciting programme of events for the coming year. These will culminate in 2012 with an exhibition of work by contemporary Outside Artists alongside pieces by the founding father of Art Brut (‘Raw Art’) Jean Dubuffet. His exhibition in 1948 kick-started the whole Outsider Art movement, and Pallant House and Dubuffet’s imprimatur is going to bring a lot of attention to Outsider Art produced on these shores. Artists who have already worked with Outside In also spoke at the event. They thanked Outside In and Pallant House for giving them access to the world of art, a world that can seem far removed from the lives of many, from people who may have a passion to express themselves in a wide range of media, but who don’t have the resources to do so. Outside In’s programme ‘Step Up’ seeks to address this situation, and with workshops, calls for submissions, and exhibitions all under way this is an exciting time for Outsider Artists wherever they are. I think Ben Nicholson, who loved the work of Alfred Wallis, the Cornish fisherman who painted boats and seascapes and the life around him in St Ives, would approve. 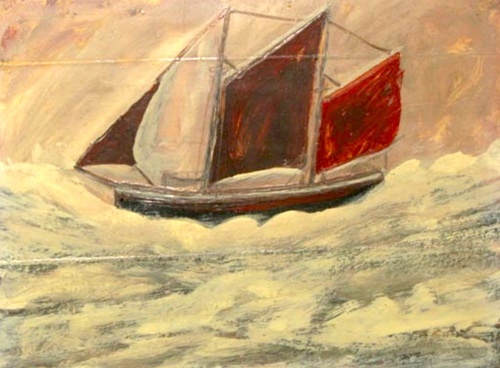 And so, I hope, would Alfred Wallis himself. Do you remember Lady Isobel Barnett? She was a star of the TV panel game What’s My Line? in the early days of television and went on to appear on radio. Her husband died in 1970 and she retreated into a semi-reclusive existence in Leicestershire. In 1980 she was arrested for shoplifting a can of tuna and a carton of cream worth 87p from her village grocer. She pleaded not guilty and the case was brought before the court. The story was featured in the Sunday newspapers – and more than likely in the News of the World. Four days after her trial she was found dead at her home. The coroner returned a verdict of suicide. What about David Scarboro? He played Mark Fowler in EastEnders before Todd Carty took over the role. He was a promising actor. He’d been in Grange Hill and landing a big role in EastEnders was a great break for a lad still in his late teens. In 1988 he committed suicide after the News of the World found out he was a patient in a mental hospital, published photos of where he was, and called him ‘mad’. He was 20. In case you think these cases are very rare what about Denholm Elliot’s daughter? In 1995 the News of the World ran a story saying that Jennifer Elliot was begging outside a tube station and was selling herself to pay for drugs. The story was written by Paul McMullan, ex-Features Editor, who has recently been making the rounds of the TV studios. He admitted that the story wasn’t true on Radio 4 in September 2010. In the interview he gave he says he totally humiliated and destroyed Jennifer Elliott. For like David Scarboro she too committed suicide. Journalists at the News of the World and some of their colleagues on other News International titles such as The Sun and The Times have been saying that the staff on the redtop were ‘professional’, ‘honest’, ‘hardworking’, and that it’s a shame that 200 of them have got the sack. But they haven’t been given the sack. They’ve been given notice of redundancy, with pay to come for 90 days until News International has found new jobs for them, probably on the Sunday version of The Sun, or redeployed them elsewhere. I wonder how many will actually lose their jobs? I wonder how many will walk away? And I wonder just what they thought of coming to work for a paper where people had been hounded to death, people like Lady Isobel Barnett, or David Scarboro or Jennifer Elliott. Or else had their health status, mental health problems, or addictions exposed to the full glare of public scrutiny, like Russell Harty, Frank Bruno, or Kerry Katona. These people were stripped of dignity, humiliated, and in some cases ‘destroyed’, as Paul McMullan puts it. Harty died aged 53 of hepatitis, long-range lenses trained on his hospital bed from buildings across the way, staff bribed to let ‘journalists’ in to where he lay dying, the full glare of publicity given to his condition. Alan Bennett said this intrusion hastened Harty’s death. Bruno come under scrutiny when he was sectioned. The Sun headline? ‘Bonkers Bruno Locked Up.’ And Kerry Katona has become a joke, an Aunt Sally the Murdoch press love to torment. She is bi-polar and has various addictions. The way she is treated she might as well be in Bedlam. My own mental health sometimes isn’t the best. If I experience too much stress I can become delusional, lose my judgement, halluncinate. Imagine what it would be like to be in that state and have the press go after you? Reporting your every deluded move, stalking you to your hospital bed, making you a figure of fun. Personally I don’t give a damn about the News of the World, or anyone who worked on the title. Because so often deep down they didn’t give a damn about anyone themselves. The invitation came by post: 29 January 2009, The John Murray Authors’ Party, 50 Albemarle Street W1. It’s one of the most famous addresses in literary history. 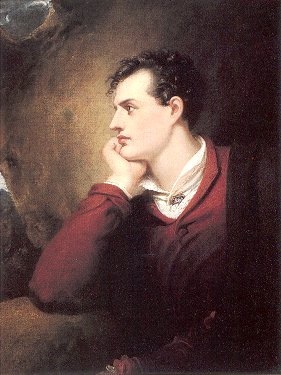 Byron’s 'Childe Harold's Pilgrimage' was passed out of the window of the drawing room to crowds on the pavement, and his memoirs were burnt 12 years later in the fireplace. It’s humbling to be here. Humbling because I’m thinking about the times I’ve come through, all the people I met along the way. Nearly thirty years ago I’d slept out on the Embankment only a mile or so up the road. I went on to spend six months in a large London hostel for homeless men, St Mungo’s in Agar Street, and scrubbed the pots in Le Caprice a stone’s throw away from Albemarle Street, behind The Ritz. The Eighties were hard for a lot of people, myself included. My father died when I was 14, I was fostered aged 15, sectioned for the first time aged 16. My mother died when I was 19, and I left foster-care in 1979, just as Mrs Thatcher was elected. By 1982 I’d had more admissions to hospital. I was soon homeless, vulnerable, ill, lost in a metropolis full of the unemployed, the poverty-stricken, the refugees from those devastated blackspots of the North, Liverpool, Manchester, Newcastle. Gordon Brown said that the last Election would be a choice between the cardboard cities of the Eighties and a different vision for Britain. His words took me back to that cold stretch of the Embankment; to the large, grim hostel; the handouts in church halls and gloomy crypts where we went when our giros had run out and hunger got the better of dignity. I think of all this at the party. The chit-chat starts up again, the glasses clink, empty, and are re-filled. And then more conversation, with my agent, with the other authors gathered here, with John Murray staff, and soon we’re out into the night, and away, as if it had all never happened. The streets of London are just as they always were, and I stagger off to the tube and the last train home, and shut my eyes and think of where I’ve been, of how far I’ve come. There are three million unemployed. Squaddies are dying in a distant land. And we’re told that there’s no alternative. I wonder how much we’ve learned in thirty years. It feels like nothing has changed.